BOOKING DIRECTLY WITH US INSTEAD OF OTHER ADVERTISERS WILL SAVE YOU $$$! At Smith Mountain Lake Vacation Rentals we understand that real estate is one of your most valuable investments. That is why we treat your property just as we would if we owned it. You can have the peace of mind that comes with knowing our 20+ years of rental management experience is being put to work to manage your property with the utmost professionalism and care. Our extensive marketing background and first page position for Google search insures that your home is seen by the largest number of people who are considering a vacation at Smith Mountain Lake. We use a variety of marketing tools including internet search engine optimization, print, mobile marketing and social media to turn lookers into booked reservations. 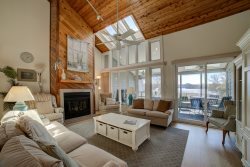 A beautiful vacation rental at Smith Mountain Lake doesn't benefit owner or guest if no one knows about. We will aggressively market your property and serve our visitors in a manner that keeps them coming back year after year. We would love an opportunity to meet with you, view your property, and explain how Smith Mountain Lake Vacation Rentals can make your rental property work for you! Please call our office at 540-721-2589 today. Not only do we manage vacation rental properties, but we can also handle your long term rental property. In this economy, leasing your house can be a great way to earn income for a home that may otherwise be sitting empty. Smith Mountain Lake Vacation Rentals can market your home, screen renters, receive rent payments, and all other aspects of long term property management. Contact us at 540-721-2589 to learn more about our long term rental services.